Aerial photography from drones creates a level of visual intrigue that is hard to match, and in a way that is more affordable than you might think. 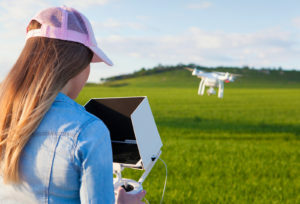 If you felt grounded by the FAA’s delay in hashing out rules for using a drone (or unmanned aircraft system, UAS) for work or business, good news: With the release of official rules in August 2016 for drone operations — and the elimination of certain roadblocks, like waivers — real estate agents are now free to take to the skies to capture aerial videos that showcase homes. To date, the FAA reports the top two uses of commercial UASs are aerial photography (34 percent) and real estate (26 percent). You might be asking yourself if using drones for real estate photography is viable — even necessary — for you to stay competitive or if it’s just a flash in the pan. Whatever you decide, drones are shaping up to be the next evolution in real estate marketing. Drones can significantly cut the cost of shooting elevated imagery — viable models start at a few hundred dollars, and camera attachments are similarly moderately priced — and enable you to use their aerial footage on many more listings, regardless of price range. Depending on your equipment setup, drones can shoot stills, video or both. You can edit and share the video using a number of tools and without extensive experience or expertise. Drone operation mostly requires a steady hand and a cool head — no need to hire a professional pilot. 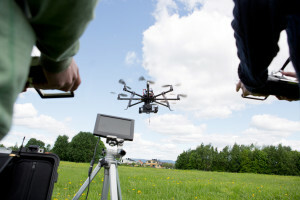 The UAS must weigh less than 55 pounds and be registered with the FAA (a $5 fee); registration is valid for three years. Operators can only fly during daytime, under 400 feet — plenty of height to capture a home’s features — and at less than 100 mph. The drone must always be within sight and yield to manned aircraft. You also can’t operate a drone from a moving vehicle. 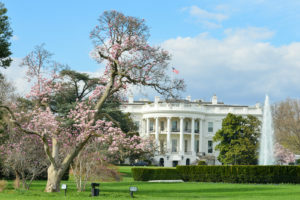 In general real estate use, you’ll most likely stick to residential areas, but there are some places you should be aware of where UASs are strictly prohibited. These include stadiums and sports events, the District of Columbia, emergency response efforts such as forest fires and less than five miles from any airport. Operators must also keep their drones away from children and animals. Pro tip: Download the FAA’s safety app, which uses your GPS location to feed you real-time information about airspace restrictions and flying rules. It’s been an uphill battle for real estate professionals to get everyone on board with using drones for their industry, so keep the goodwill going by becoming a drone ambassador and — no pun intended — rise above those whose behavior could curtail UAS use for everyone. Ask homeowners for permission before you launch your drone. Don’t fly over any private property without permission. Avoid flying over crowds of people and animals. Read the manual and take every opportunity to practice. Don’t let animals or kids chase the drone. Privacy: Even though the seller grants you permission to obtain drone footage of their home for your marketing purposes, how will you deal with neighbors who might feel under the microscope as well? Safety: What happens if a home you need photography for is located near an airport — an FAA designated no-drone space with heavy fines for violation? Noise: How will drone operation be governed so that their noise doesn’t interfere with life at ground level? Using drones for real estate photography will become increasingly common now that it’s easier for real estate agents to operate them. No matter what rules are in place, using drones will spark some degree of controversy, but there’s no rebottling that genie. Now that federal, state and industrial organizations agree on the major points, drone adoption and operation will quickly escalate. If you’re considering using drones for real estate photography, be ready for it: You might be one of the first in your area to offer clients that service, making you stand out from the competition while adding a serious wow factor to your marketing.